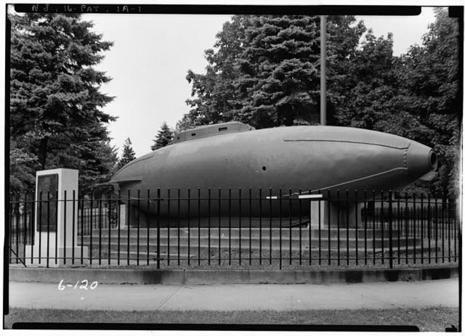 On April 11, 1900, the U.S. Navy acquired its first submarine, designed by Irish immigrant John P. Holland. Propelled by gasoline while on the surface and by electricity when submerged, the Holland served as a model for modern submarine design. By the eve of World War I, the Holland and Holland-inspired vessels were a part of large naval fleets throughout the world. Proposals for underwater boats date back to the late 1500s. The first submarine actually constructed was probably a vessel created and tested in the early seventeenth century by Dutch inventor Cornelis Drebbel. Over the next two centuries, various inventors continued to work out design problems. In 1896, the Irish-American inventor John Philip Holland designed submarines that, for the first time, made use of internal combustion engine power on the surface and electric battery power for submerged operations. The Holland VI was launched on May 17, 1897 at Navy Lt. Lewis Nixon's Crescent Shipyard of Elizabeth, New Jersey. 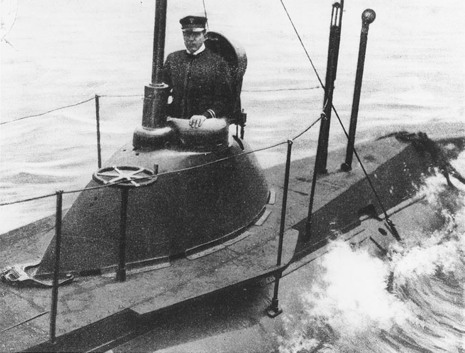 On April 11, 1900 the United States Navy purchased the revolutionary Holland VI and renamed it the USS Holland (SS-1), America's first commissioned submarine. (John P. Holland's company, the Holland Torpedo Boat Company/Electric Boat Company became General Dynamics "Cold War" progeny and is arguably the builder of the world's most technologically advanced submarines today).